This oral therapy is a part of Ayurvedic medicine, which is a traditional Indian system that dates back at least 3,000 years. Oil pulling practice is done by swishing approx. 1 tablespoon of oil, typically sunflower oil or coconut oil, in your mouth for between 10-20 minutes and then it has to be spitted out. If you never heard about it, than it is the time you do. 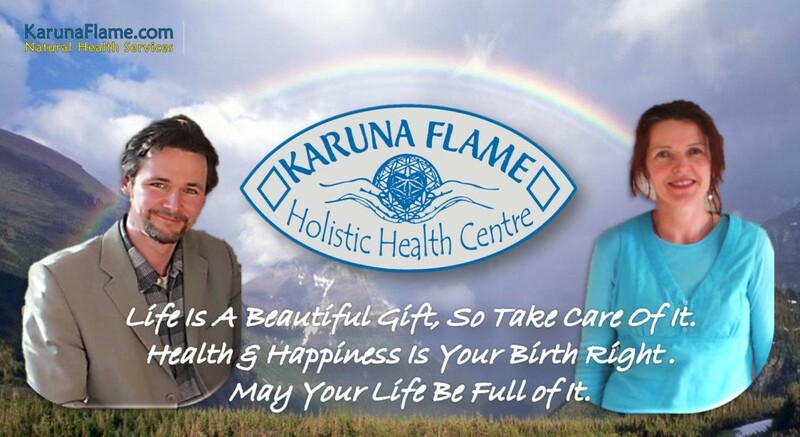 You will not regret says Kris Zurek, founder of Karuna Flame Holistic Health Centre. I learned this practice few years ago from a friend of mine, a Biological Holistic Dentist, Dr. Evelien Van Amerongen working in Wesport. It is aimed to improve oral health by strengthening teeth and gums and preventing decay and bleeding gums. I started to use it myself more and more often, and tried to remember to stick to it, to make oil pulling a good habit, just like we do daily brushing. To be honest, I found it very effective and refreshing. After experimenting with various substances and strategies, I developed my own, unique protocol involving oil pulling plus few other things, which I can share with any of my clients during one-to-one tutorial, says Kris. The phrase “oil pulling” and usage in its current form was coined and popularized in the beginning of 1990s by Tummala Koteswara Rao in Bangalore, South India. Rao actively promoted oil pulling as an ancient Ayurvedic practice. Coincidentally, I learned about soon after returning from my visit to Bangalore. Rao has been introduced to oil pulling by a paper presented to the All Ukrainian Association of the Academy of Science of the USSR in which he advocated a method of oil pulling. In ancient times, Oil Pulling was referred to as “gandusha” or “kaval” in the ancient Ayurvedic text of Charaka Saṃhitā as well as in Sushratha’s Arthashastra. Oil pulling or oil swishing is a traditional folk remedy where oil is “swished” (kavala graha) or “held” (snigda gandoosha) in the mouth. It has been also mentioned in Ashtanga Hrudaya Sutrasthana, 22 – Oral, Ear And Head Therapy. Unlike some so-called natural home remedies, it’s not a practice that’s based on imaginary pseudo-science. Recent studies show that oil pulling helps against gingivitis, plaque, and microorganisms that cause bad breath. What does oil pulling involve? Oil pulling involves swishing a tablespoon of a cold-pressed organic oil (an oil that has not been extracted using chemicals) like sunflower or coconut oil in your mouth for 10-20 minutes. It’s similar to using mouthwash but without the gargling action. The oil mixes with your saliva and goes from clear to a milky white color. The oil turned milky white indicates that the bacteria has been “pulled” off. After roughly 10-20 minutes the whitish solution is filled with bacteria, viruses and other organisms; at this point, the person spits out the oil and rinses thoroughly with water. One can also use coconut oil. You can get the same bacteria-fighting benefits with sesame or sunflower oil, but coconut oil has the added benefit of lauric acid, which is well-known for its anti-microbial properties, making it more effective. Rule No. 1: Start with just 5 minutes a day. Twenty minutes of swishing is a long time so one needs to build up to it. The longer you pull, the more bacteria you’ll remove, but 5 or 10 minutes will still offer some benefit. Also, if your jaw starts aching a few minutes in, slow down. A gentle swishing and sucking the oil through and around the teeth will do the job. Start with a smaller amount if you get tired with a bigger amount. Also, don’t spit it down the sink, as the oil may clog your pipes. Just discard the used oil into the bin or outside on the lawn (and smile). Online personal testimonials recommend oil pulling first thing in the morning, on an empty stomach. Dentist’s advice: Don’t skip brushing and flossing. 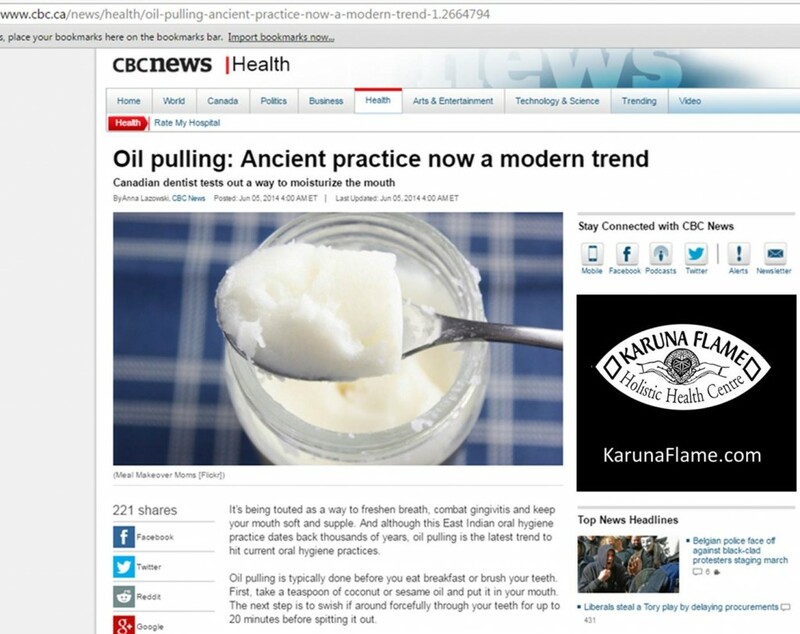 Oil pulling should never replace routine dental visits and traditional home oral care (but we at Karuna Flame recommend fluoride free strategy) . 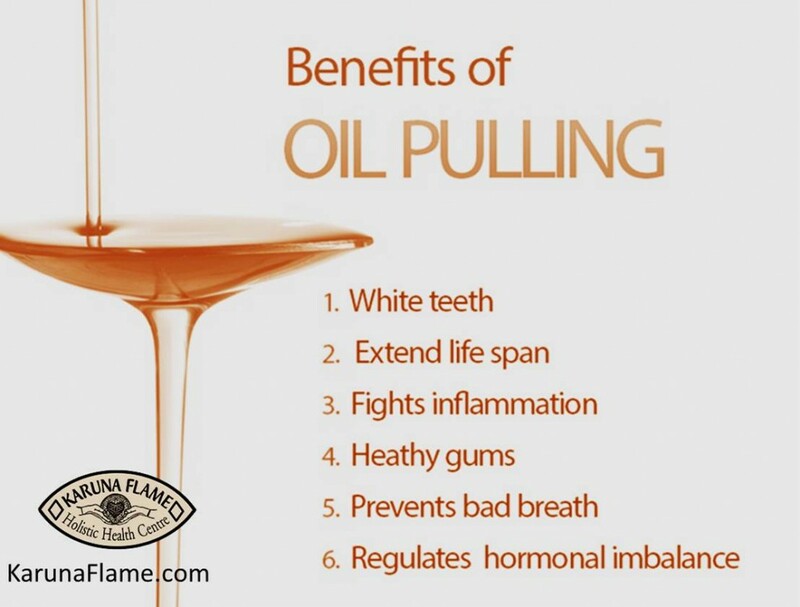 Oil pulling doesn’t reverse the effects of tooth decay, but it’s a great supplemental and preventative therapy. We also suggest that oil pulling has further reaching effects as it might also have additional benefits for the health of a developing baby. It goes without saying that the healthier the mother, the healthier the baby will be. Is there any research on health benefits of Oil Pulling? Not a lot, but the existing research is very encouraging and more is promised to follow. And please remember that just because scientific community is slow in catching up with ancient wisdom, this does not mean that the practice is useless. And there is no danger or side effects from oil pulling whatsoever, so you have nothing to lose. Kris says that the first studies were small and published only in Medical Journals in Indian. Wow! At least we have something to start with. Before we go into looking at these, let’s remember that the health benefits of Oil Pulling were already registered thousand years ago by Ayurvedic doctors. In the ancient Ayurvedic text of Charaka Saṃhitā, oil pulling was believed to help cure over 25 systemic diseases – including conditions like tension headaches, migraines, asthma, bronchitis and even osteoarthritis. Another study using a sample of 20 boys from the same school in India, found that the boys who oil pulled had a reduction in the number of Streptococcus mutans (bacteria in the mouth that cause tooth decay) compared to boys that used the mouth wash.
Kris Zurek adds that one should be encouraged to put the practice of oil pulling to the test, but also not depend solely on it. He adds that we always need to seek to improve our health using different strategies, a synergestic approach is a wise approach. In 2012 scientists from beautiful green Ireland have shown that digested coconut oil can attack the bacteria that cause caries. They said that “Coconut oil is a natural antibiotic and could be incorporated into commercial dental care products”. A research team from the Athlone Institute of Technology tested the antibacterial action of coconut oil in its natural state and coconut oil that had been treated with enzymes, in a process similar to digestion. The oils were tested against strains of Streptococcus bacteria. They found that enzyme-modified coconut oil strongly inhibited the growth of most strains of Streptococcus bacteria including Streptococcus mutans – a major cause of caries. The results were published in British Dental Journal. … Surprise, surprise … Bravo Irish team! 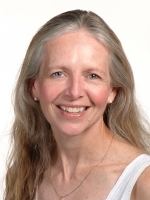 Dr. Leslie Laing is a prosthodontist and an assistant professor in the faculty of dentistry at the University of Toronto. Dr. Laing is researching if oil pulling can help dry mouth symptoms in patients with Sjogren’s Syndrome. She asked some of her patients to volunteer to try oil pulling every day for three weeks. But before they got started, she gathered some data from them. After three weeks, she repeated the plaque and saliva samples and tongue scrapings. For the small sample size of a dozen patients in her initial test, she found the number of bacteria present either stayed the same or decreased. “One of the latest ones I just tried [it] was a hundred-fold less, so that’s very significant,” she said. Those early findings were enough to motivate Laing to continue with a larger study of patients with dry mouth symptoms, as well as a control group. This time, she’s included subjects with symptoms brought on by prescription medication and some people with head and neck cancer who don’t have working saliva glands. She hopes to include people with AIDS as well. Laing’s ongoing study is looking at oil pulling’s application for gingivitis and plaque buildup. And although she hasn’t yet published any results, she’s seeing some positive indicators. 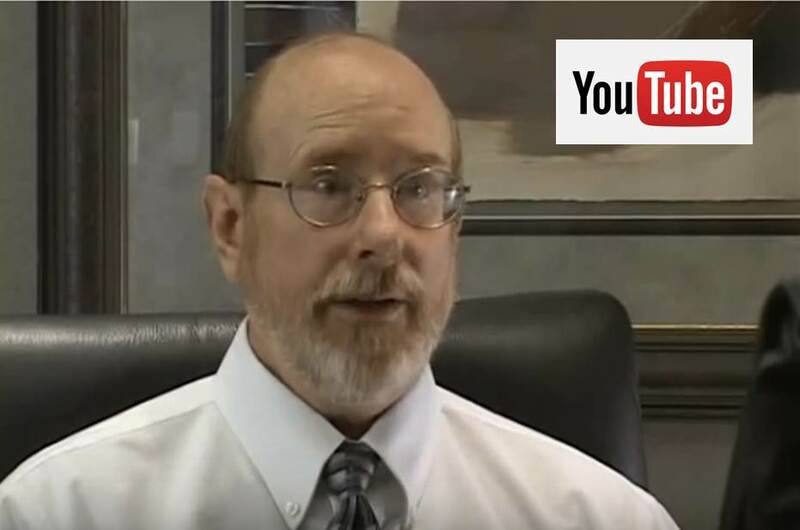 Dr. Euan Swan is manager of dental programs at the Canadian Dental Association in Ottawa. He’s read the existing published reports on oil pulling but says the CDA doesn’t have an official position on the practice. … How typical of them! If that is not enough evidence, than please learn about study conducted in 2011 in Thailand. The most recent exciting confirmation of beneficial action of oil pulling on plaque related gingivitis comes from Nigerian scientists, who published their results in the journal in 2015. In honesty, in my opinion, it is not essential to know how does it work in order to reap benefits from it, just as it is not essential for the driver of the car to understand the details of workings of the engine, in order to be able to travel from one place to another. … But let’s have a closer look. Some studies suggest that the lipids in the oil pull out the toxins and bad bacteria in your mouth which then bind to the lipids. This is why, after swishing, you don’t want to swallow—you would be swallowing oil containing toxins and bacteria. It is a fact that most of bacterial microorganisms inhabiting the mouth consist of a single cell. These cells are covered with a lipid, or fatty, membrane, which is the cell’s skin. When these cells come into contact with oil, a fat, they naturally adhere to each other, thus allowing for smoother ‘extraction’ and transportation out of the oral cavity. You can get the bacteria-fighting benefits with sunflower oil. Coconut oil has the added benefit of lauric acid, which is well-known for its anti-microbial agents, making it more effective. Since 1966, reports of the antimicrobial activity of the monoglyceride of lauric acid (monolaurin) kept growing and growing . Probably the most seminal work can be credited to Jon Kabara. Some of the early work by Hierholzer and Kabara (1982) that showed virucidal effects of monolaurin on enveloped RNA and DNA viruses was done in conjunction with the Center for Disease Control of the US Public Health Service with selected prototypes or recognized representative strains of enveloped human viruses. The envelope of these viruses is a lipid membrane. In 1978, Kabara and others have noticed that certain fatty acids (e.g., medium-chain saturates) and their derivatives (e.g., monoglycerides) can have adverse effects on various microorganisms: those microorganisms that are inactivated include bacteria, yeast, fungi, and enveloped viruses. This is very significant. This data is very scientific but worth looking at. It reveals the intricacies of ‘Fatty interactions’ and proves the point regarding the effectiveness of various fatty acids inclusive of Coconut oil. The medium-chain saturated fatty acids and their derivatives act by disrupting the lipid membranes of the organisms (Isaacs and Thormar 1991) (Isaacs et al 1992). Enveloped viruses are inactivated in both human and bovine milk by added fatty acids (FAs) and monoglycerides (MGs) (Isaacs et al 1991) as well as by endogenous FAs and MGs (Isaacs et al 1986, 1990, 1991, 1992; Thormar et al 1987). All three monoesters of lauric acid are shown to be active antimicrobials, i.e., alpha-, alpha’-, and beta-MG. Additionally, it is reported that the antimicrobial effects of the FAs and MGs are additive and total concentration is critical for inactivating viruses (Isaacs and Thormar 1990). Many properties that determine the infection-protective action of many lipids are related to their structure; e.g., monoglycerides, free fatty acids. The monoglycerides are active, diglycerides but triglycerides are inactive. Of all the saturated fatty acids, lauric acid has much greater antiviral activity than either caprylic acid (C-10) or myristic acid (C-14). The action attributed to monolaurin is that of solubilizing the lipids and phospholipids in the envelope of the virus causing the disintegration of the virus envelope. In effect, it is reported that the fatty acids and monoglycerides produce their killing/inactivating effect by lysing the (lipid bilayer) plasma membrane. However, there is evidence from recent studies that one antimicrobial effect is related to its interference with signal transduction (Projan et al 1994). Some of the viruses inactivated by these lipids, in addition to HIV, are the measles virus, herpes simplex virus-1 (HSV-1), vesicular stomatitis virus (VSV), visna virus, and cytomegalovirus (CMV). Many of the pathogenic organisms reported to be inactivated by these antimicrobial lipids are those known to be responsible for opportunistic infections in HIV-positive individuals. No one in the mainstream nutrition community seems to have recognized the added potential of antimicrobial lipids in the treatment of HIV-infected or AIDS patients. These antimicrobial fatty acids and their derivatives are essentially non-toxic to man; they are produced in vivo by humans when they ingest those commonly available foods that contain adequate levels of medium-chain fatty acids such as lauric acid. 2005 study at my alma mater discovered much higher levels of oral bacteria such as C. gingivitis and P. melaninogenica,and S. mitis, present in oral cancer patients. In 1987 Lim-Sylianco has reviewed 50 years of literature showing anticarcinogenic effects from dietary coconut oil. Wow! That must have been a big job. These animal studies show quite clearly the anti-cancer effect of feeding coconut oil. In a research study done by Reddy in 1984, coconut oil was more inhibitory than MCT oil to induction of colon tumors by azoxymethane. Chemically induced adenocarcinomas differed 10-fold between corn oil (32%) and coconut oil (3%) in the colon. Both olive oil and coconut oil developed the low levels (3%) of the adenocarcinomas in the colon, but in the small intestine animals fed coconut oil did not develop any tumors, while 7% of animals fed olive oil did. This once again proves that coconut oil is more beneficial than olive oil. Now have a look at another example of fatty acid anti-cancer example. This time from Washington State University. There, researchers have found a mechanism by which omega-3 fatty acids inhibit the growth and spread of prostate cancer cells. Working with prostate cell cultures, Meier and two students, Ze Liu and Mandi Hopkins, found the fatty acids bind to a receptor called FFA4, for “free fatty acid receptor 4.” Rather than stimulating cancer cells, the receptor acts as a signal to inhibit growth factors, suppressing proliferation of the cancer cells. “This kind of knowledge could lead us to better treat or prevent cancer because now we know how it works,” Meier said. Than in a study conducted in 2013 at Queen Mary, University of London, we find another example of cancer suppressing power of certain lipids. The conclusion is that Omega-3 fatty acids, contained in oily fish such as salmon and trout, selectively inhibit growth and induce cell death in early and late-stage oral and skin cancers. Prof. Kenneth Parkinson, Head of the Oral Cancer Research Group at Queen Mary’s Institute of Dentistry, said: “We found that the omega-3 fatty acid selectively inhibited the growth of the malignant and pre-malignant cells at doses which did not affect the normal cells. To conclude, I want to quote here the following research on the Medium-Chain Length Fatty Acid Lauric Acid in relation to colon cancer. … All in all, I hope you have found something new and inspiring for yourself in this article. If yes, then please share it on Facebook or on other platforms. Sooryavanshi, S; Mardikar, B. R. (1994). “Prevention and treatment of diseases of mouth by gandoosha and kavala”. Ancient Science of Life 13 (3–4): 266–70.PMC 3336527. PMID 22556659. Grush, Loren (24 March 2014). “What is oil pulling? Examining the ancient detoxifying ritual”. Fox News Channel. Retrieved 24 March 2014. Amruthesh, S (2008). “Dentistry and Ayurveda – IV: Classification and management of common oral diseases”. Indian Journal of Dental Research 19 (1): 52–61. 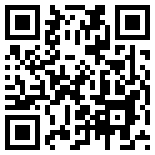 PMID 18245925. Marion, Jane (June 2014). “what is oil pulling”. Baltimore. Asokan S, Emmadi P, Chamundeswari R. Effect of oil pulling on plaque induced gingivitis: A randomized, controlled, triple-blind study. Indian J Dent Res 2009;20:47-51. Asokan SA, Rathan JA, Muthu MSB. Effect of oil pulling on Streptococcus mutans count in plaque and saliva using Dentocult SM Strip mutans test: a randomized, controlled, triple-blind study. J of the Indian Society of Pedodontics & Preventive Dentistry. 2008;26:12-17. Hebbar A, Keluskar V, Shetti AJ. Oil pulling – Unraveling the path to mystic cure. Int Oral Health Case Report. JIOH. 2010;10-13. Thaweboon, Sroisiri; Nakaparksin, Jurai; Thaweboon, Boonyanit (2011). “Effect of Oil-Pulling on Oral Microorganisms in Biofilm Models” (PDF). Asia Journal of Public Health 2 (2): 62–6. Chocolatewala N, Chaturvedi P, Desale R.:The role of bacteria in oral cancer; Indian J Med Paediatr Oncol. 2010 Oct;31(4):126-31. doi: 10.4103/0971-5851.76195. Peedikayil FC, Sreenivasan P, Narayanan A.: Effect of coconut oil in plaque related gingivitis — A preliminary report; Niger Med J. 2015 Mar-Apr;56(2):143-7. doi: 10.4103/0300-1652.153406.